Consumer OneDrive or simply called as OneDrive is for personal storage. You can get this by signing in Outlook.com and OneDrive comes with 7GB of free storage. OneDrive for Business is cloud file storing and sharing feature and available as part of Office 365 subscription. The default storage is 1TB. 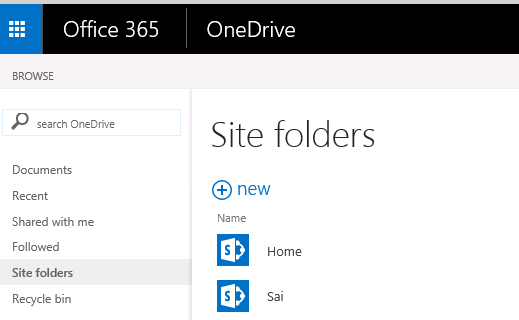 Under the hood, OneDrive for Business is a SharePoint site with libraries. MySites of SharePoint online has been rechristened as OneDrive as part of the strategy to make OneDrive for Business an independent offering. OneDrive can now be purchased without Office 365 subscription and can be integrated with On Premises SharePoint 2013 environment. Select the app launcher from the top left hand side of the page, and then select OneDrive. 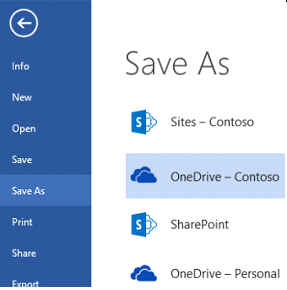 The OneDrive for Business sync app synchronizes any SharePoint 2013 document library (OneDrive for Business library or Team Site Library), so the contents are available offline in your computer. Even though called OneDrive for Business Sync tool, it can be installed without OneDrive for Business subscription. Available with Office 2013 installation. Office 365 subscriptions that include Office 2013 applications. Free download of the OneDrive for Business sync app. 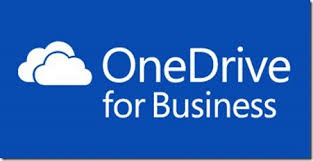 Access OneDrive portal as per one of the above mentioned options. If the Sync button is missing, select the Library tab and click Sync in the Connect & Export group. Steps and user experiences for synchronizing the SharePoint document library is similar to the synchronization of OneDrive for Business Library. AvailableSync app will start and automatically fills in the document library location. Select Sync Now to start syncing. Once synchronization is completed, click Show my files in the app to open the synced OneDrive for Business folder in File Explorer. 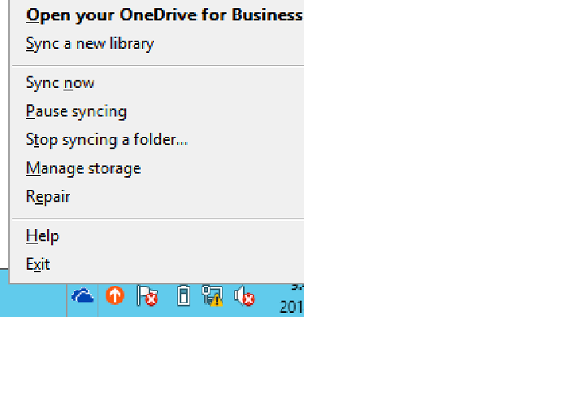 The folder appears in Windows Favorites as OneDrive for Business. For Team site document libraries synchronized, the library is listed in the SharePoint folder, also under Windows Favorites, and uses the name of the site library. 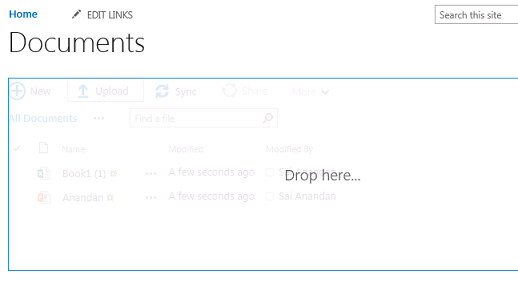 Files can be opened or saved in the OneDrive directly from any Office applications. Both locations offer an easier way to create and share contents and the choice will depend on the document Information Lifecycle Management (ILM) polices of your organization. You don’t expect the documents to be shared with others, like documents in draft mode or personal document, this would be the best place to be stored. Documents added to OneDrive for Business are private by default. Documents to be stored in cloud so it can be accessible from any device and any time. 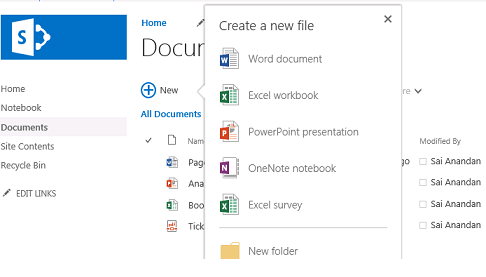 Documents stored in OneDrive for Business library can be accessed offline from your computer and any mobile devices. Primary ownership of the document must be a Team than an individual, then the document must be stored in a Team Site. Team Members can control the documents when stored in a Team Site. An existing Team Site can be identified to which the document belongs to. Team Members of the site can identify and recognize the documents as part of overall collaboration requirements working towards a specific goal. Document permission to be granted on a Site basis than individual user basis. Open both the document libraries in File Explorer. 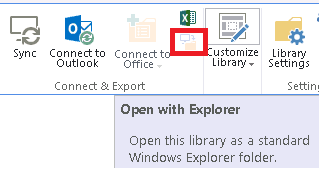 Click the Library tab and click Open with Explorer. The contents of the library will be opened in the File Explorer. The users can drag and drop the contents between source and target libraries. Delete the files from source once copied to target.